A dish of ice cream, a tube of toothpaste, some laundry detergents and artificial teardrops all rely upon the synthetic gum, sodium carboxymethyl cellulose for their creamy taste, squeezability, soil-lifting strength and lubricating effect. Sodium carboxymethyl is derived from natural cellulose treated with chloroacetic acid. The U.S. Food and Drug Administration (FDA) classifies sodium carboxymethyl cellulose as generally recognized as safe (GRAS) for use as a food additive. In dry form sodium carboxymethyl is a white or slightly yellowish, amber or grayish powder. It is odorless and tasteless. Sodium carboxymethyl cellulose dissolves readily in water. It is hygroscopic, meaning it takes up and holds onto moisture. Its hygroscopic properties are partially responsible for its success as a food and drug additive. Sodium carboxymethyl is added to some products as a thickener and as a dispersant. By controlling the amount of sodium carboxymethyl added, the manufacturer can fine-tune the feel of the food or medicine in the mouth and as it is swallowed. As a thickener, sodium carboxymethyl makes it easier for ingredients to be dispersed evenly throughout the mixture and stay evenly dispersed. It helps keep solids suspended in liquids and acts as an emulsifier, keeping lotions and creams from separating. Adding sodium carboxymethyl cellulose to liquids changes the viscosity of the liquid. Sodium carboxymethyl cellulose molecules normally bind to each other; water squeezes in and breaks up the bonds. The viscosity or resistance to pouring of a liquid depends on the amount of sodium carboxymethyl cellulose added. Sodium carboxymethyl cellulose can be used to make thick, slow-pouring gels or soothing, tear-like eye lubricants. Sodium carboxymethyl cellulose is often added to foods as a stabilizer. As a generally recognized safe ingredient, the FDA does not have to approve its use in foods. 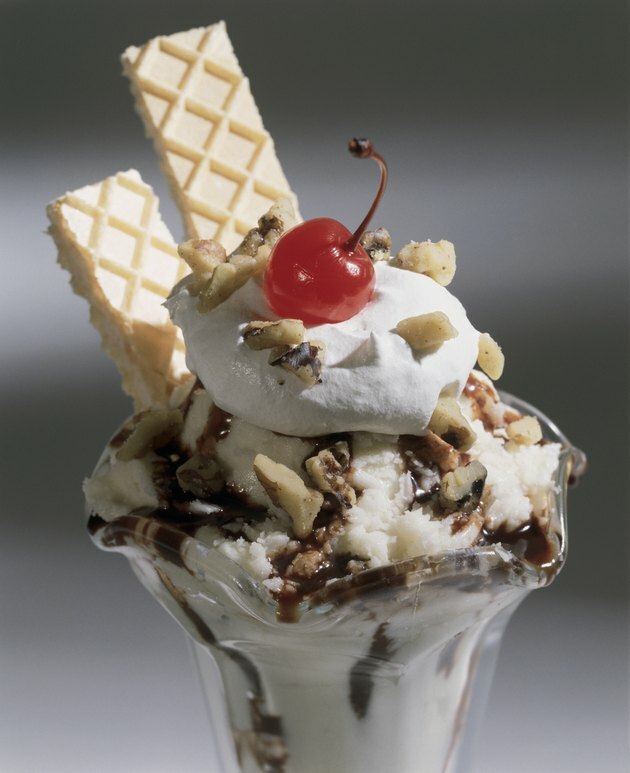 Sodium carboxymethyl cellulose can keep ice cream from separating. It is also added as a bulking agent, emulsifier, firming agent, gelling agent, glazing agent, humectant and thickener. It is found in chocolate milk, cocoa, eggnog, condensed milk, powdered milk, some cheeses, daily spreads, processed fruit, breakfast cereals, sausage casings, custards, seasonings and condiments, soups and broths, sauces, dietetic foods, beer, cider and much more. Sodium carboxymethyl cellulose is sometimes used to make reusable ice packs. When combined with water and other substances such as propylene glycol, sodium carboxymethyl forms a eutectic mixture--a mixture whose freezing point is lower than that of any of the mixture constituents. One product on the market has a freezing point of -23 degrees Celsius (-9.4 Fahrenheit). These reusable ice packs are usually nontoxic and environmentally friendly. Food Additives: What is Sodium Phosphate?